If you’re looking to straighten overcrowded or crooked teeth, metal braces aren’t your only option. At Weishaar & Weber Dentistry in Spokane Valley, Washington, the team of highly trained dentists use InvisalignⓇ clear aligners to straighten your smile. This innovative procedure works up to 50% faster than traditional methods. To learn if Invisalign is right for you and your smile, call the office to schedule your appointment or book it online today. Invisalign clear aligners allow you to straighten your teeth and build confidence in your smile without the need for traditional, intrusive braces. Without using metal brackets or wires, these aligners gently move your teeth, sliding them into the optimal positions for your jaw, bite, and smile. If you had traditional braces, but your teeth shifted because you failed to wear your retainer, Invisalign can help. The Invisalign process uses 3D technology to create a model of your teeth and jaw then build a sequence of clear aligners to straighten your smile. Every day, you wear your Invisalign aligners for 20-22 hours. They’re comfortable, and some patients even forget they’re wearing them. Each set of aligners puts gentle pressure on specific teeth, encouraging them to move slowly. Every week or so, you change the aligners, and your teeth move a little more. Over time, the teeth shift into their goal position, and you’re left with a straight and confident smile. Beyond straightening your teeth and giving you a smile you’ll want to show off, Invisalign aligners have a variety of benefits. 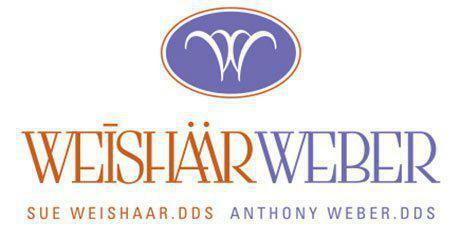 If you want to know if Invisalign clear aligners are right for you, contact Weishaar & Weber Dentistry today. Book your appointment online or call to schedule.